Are You Using These Expert Tips for Effective Training Evaluation? L&D professionals must utilize effective training evaluation in order to gauge the success of their initiatives. Are you unsure where to start? Listen to this Kirkpatrick audio clip. Don Kirkpatrick provides a four levels overview including the 10 requirements for an effective program. Jim Kirkpatrick wraps things up by covering business partnership and the five purposes of evaluation. Whose Responsibility Is Training, Anyway? This question has been asked for decades if not longer. Within your organization, how do you answer it? Enjoy this article that asks--and answers--this probing question. Click here to read this piece written by Don and published with permission from the Association for Talent Development (www.td.org) and TD magazine (www.td.org/td). The PDF is best viewed on a PC rather than a mobile device. The Kirkpatricks receive many questions about training evaluation, and how to use the Kirkpatrick Model for maximum organizational benefit. Often, concerns distill down to two distinct yet common questions. Both are particularly crucial when resources are limited. Don Kirkpatrick provided timeless answers to these queries below or click here for a downloadable PDF (best viewed on a PC versus a mobile device). 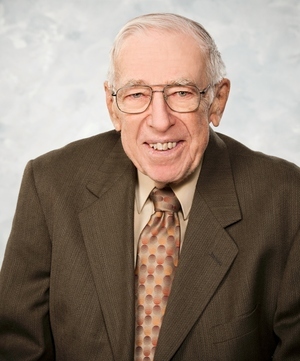 Throughout May, we remember Don Kirkpatrick and celebrate his contributions to the training industry. Enjoy this legacy piece penned by Don. The concepts are timeless and applicable even today. Who Says You Can't Get There From Here? When I developed the four levels in the 1950s, I had no idea that they would turn into my legacy. I simply needed a way to determine if the programs I had developed for managers and supervisors were successful in helping them perform better on the job. No models available at that time quite fit the bill, so I created something that I thought was useful, implemented it, and wrote my dissertation about it. "Integrating Training and Performance Appraisal"
Read Dr. Don Kirkpatrick's latest article in Training Magazine. In this article, Don discusses how training and performance appraisal can work hand in hand if the appraisal looks ahead at what can be done to improve employee performance. Training Magazine asked me to write the final "Last Word" column for 2011.